Hamburgers are America's favorite sandwich. What would a Memorial Day, or Fourth of July picnic be without the very American hamburger? So, it only fitting that we have a special day to celebrate our cherished burgers. Hamburgers are American in origin. 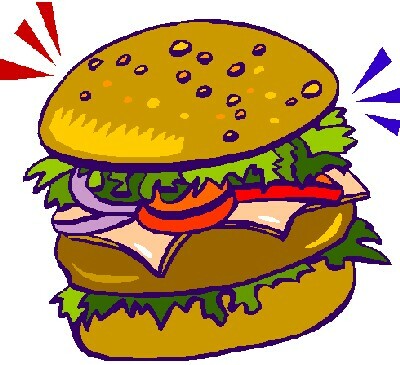 However, there is much controversy as to whether Hamburgers were first created in the 19th or the 20th century. We won't fret over when they were first created. We'l just savor the flavor. Have it your way. The best way to cook a hamburger, is grilled on an outdoor grill. You can also cook them indoors on a frying pan. Add your favorite fixings. Cheese is all but a must. Then, there's lettuce, tomatoes, pickles, onions, bacon, and so much more. And, don't forget the condiments. Mustard, ketchup, and relish are the favorites. The World's Largest Burger: On September 2, 2012, the Black Bear Casino Resort in Carlton, Minnesota cooked the world's largest hamburger at 2,014 pounds. That's the equivalent of 8,056 Quarter Pounders! This day is called a "National" day. We did not find any congressional records or presidential proclamations for this day. With that said, we firmly believe that it "should:" be a national day.